Elected leaders from border communities stretching from San Diego to the Texas cities of El Paso and Laredo warn that havoc would ensue on both sides of the international boundary if the ports were closed. 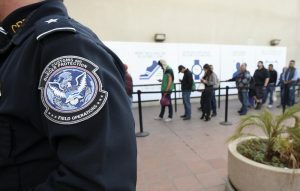 EL PASO, Texas — President Trump’s threat to shut down the southern border raised fears Monday of dire economic consequences in the U.S. and an upheaval of daily life in a corner of the country that relies on the international flow of not just goods and services but also students, families and workers. “If this happens – and I certainly hope it doesn’t – I’d hate to go into a grocery store four or five days later and see what it looks like,” Jungmeyer said.